A limited liability company, or LLC, is an independent legal entity. Once a business files articles of organization and is recognized by a state as an LLC, it begins an existence that is separate from its owners. The LLC can enter contracts in its own name, sue and be sued, and own property. The law treats the LLC as a legal person. An LLC can hold title to property, just like an individual, and has standing to enter into any sort of financing contract, including a mortgage of property. Determine if your mortgage instrument allows another party to assume the mortgage. A mortgage agreement is a contract between you and a lender. A lender is not required to release you from your obligation by substituting another entity as the responsible party unless there is a provision in the mortgage instrument that specifically allows you to assign the mortgage. Call the lender and explain that you want to transfer ownership of the property to a business entity. Even without a specific provision, a lender could agree to allow an assumption, under certain circumstances. Assign the mortgage to the LLC. The lender will have a list of due diligence items that will have to be completed before the assumption becomes effective. Ultimately, you will have to execute a new mortgage agreement that releases you from liability and substitutes the LLC as the mortgagee. Some lenders might insist you remain on the mortgage in your individual capacity as a co-borrower or guarantor in addition to the LLC to ensure payment. This would likely defeat the benefits of transferring the obligations to the LLC, however. Prepare a quitclaim deed from you to the LLC and record the new mortgage instrument and the deed with the county recorder of deeds where the property is located. A quitclaim deed is the simplest deed to prepare and is suitable for this type of private transaction that does not need a warranty of sale. A quitclaim deed template form can be downloaded from the Internet or purchased from any office supply or stationery store. 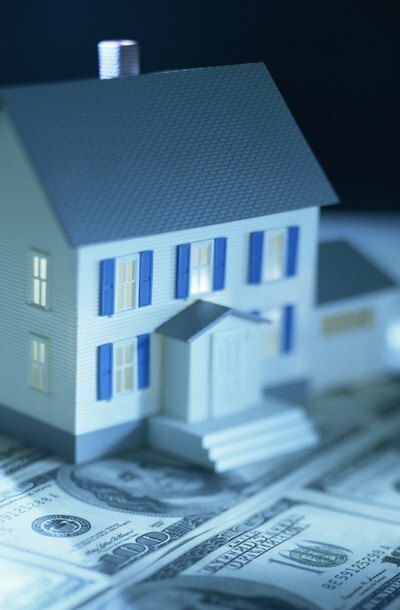 Obtain a mortgage in the name of the LLC if your lender will not allow you to assign the mortgage. An LLC can take out a mortgage in its own name. It would be subject to the same sort of application process and creditworthiness check as an individual. Sell the property to the LLC. Use the new mortgage proceeds to satisfy the existing mortgage on the property. With a new mortgage, you will have to go to closing and accomplish all the steps required of any mortgage. FindLaw: What is an Assumable Mortgage?